Patagonia sits at the southern most tip of South America, at the end of the world, and it really is where adventure begins. And what an adventure Patagonia is. It’s the vastness of the terrain that gets you – every time. 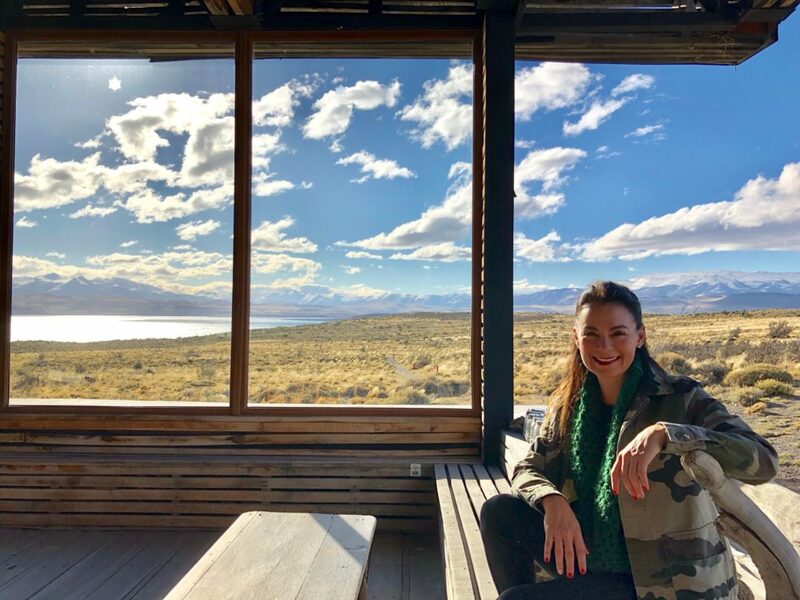 Staying in Tierra Patagonia, a hotel offering everything in the way of absolute luxury has to be the best way to enjoy this arid landscape and create life long memories. 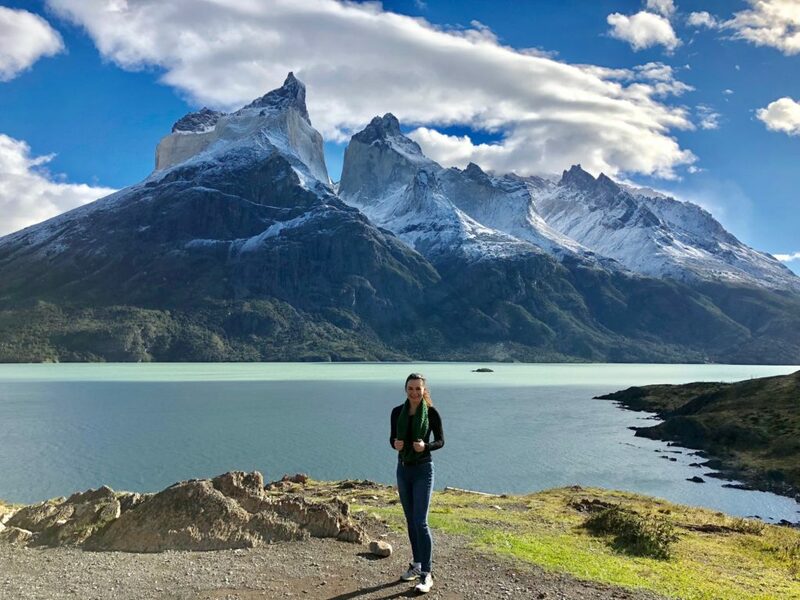 From mountain hikes in howling winds, galloping horse rides along the lake’s edge, mountain bike rides through the local mountains and snow capped mountains to see, Patagonia is mother nature and ecotourism at its best. There are soaring majestic condors, mysterious pumas, and a local animal called a guanaco, which looks to the untrained eye much like a llama, and they are everywhere, and friendly to humans. This is one of the premium natural destinations globally. Due mainly to the terrain, which is sparse, with clear blue skies, and an expansive and striking national park the size of Switzerland. During quiet moments in Patagonia, you can’t help but wonder if this is what the world looked like billions of years ago before life began, and if this is what the world could possibly return to one day. This is a part of the world that captures the heart of many. None more famous than Doug Tompkins and his first wife Suzie Tompkins Buell. Doug was an American who founded Mountain Hiking clothing brand North Face, and he and his first wife also created Esprit. 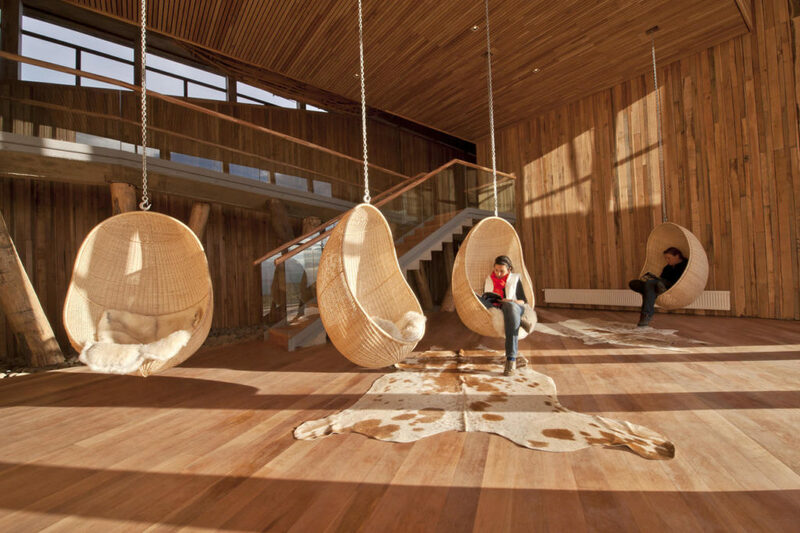 Reading pods at Hotel Tierra Patagonia. When they divorced, Doug spent more and more time in Patagonia with his second wife. So much so, Doug bought huge parcels of land there, and when he was killed in a tragic kayaking accident in Patagonia in 2015, the 2 million acres of land he had purchased was donated to the Chilean government, with the condition it must be kept as national park. This is the place to take your family, to share a piece of nature and share a moment that is genuinely untouched, sparse and beautiful. 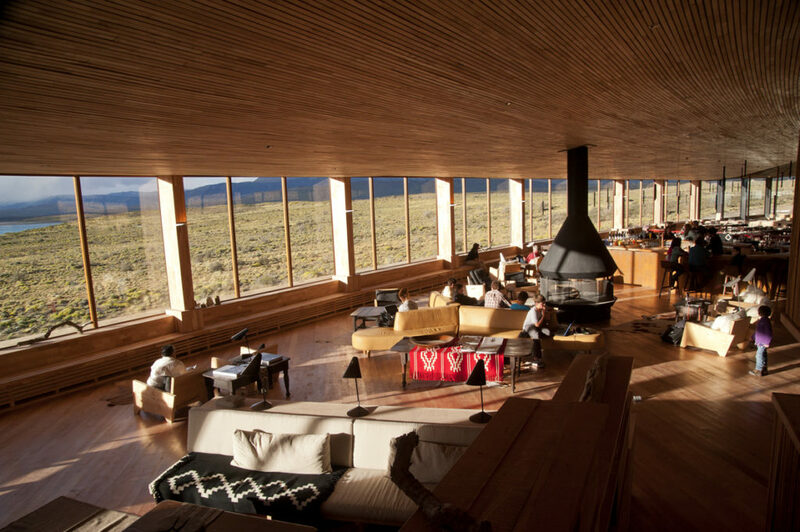 Tierra Patagonia is one of the most luxurious places to stay in the whole area, and is truly the stuff of dreams. 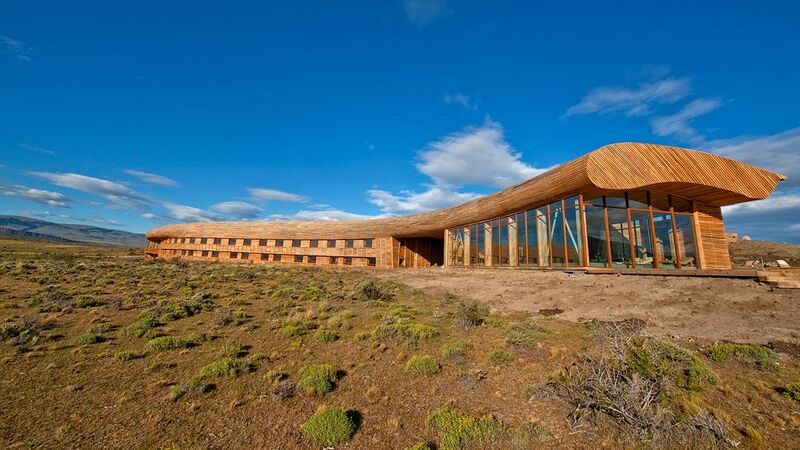 Designed superbly, Tierra Patagonia is located at the northern entrance of Torres del Paine National Park on the shores of Lake Sarmiento. The whole building is full of windows looking onto the vastness of the lake with snow capped mountains in the background. Renae Leith-Manos in Patagonia on an excursion from Tierra Patagonia. There are three room types, each spacious, with huge bathrooms, each with its own bath and separate shower. 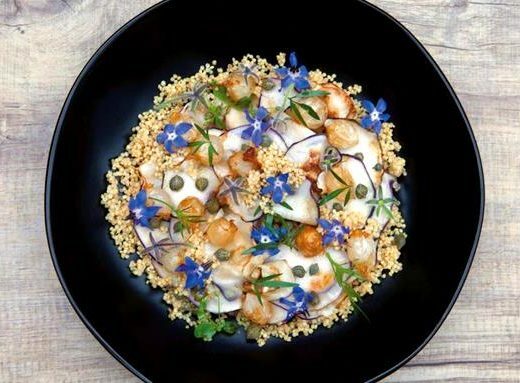 Packages include three gourmet meals a day, with choices for every course, and every food allergy is catered for. Most of the produce used is organic. An open bar of high end local wines and daily cocktail specials is included, with additional wines available for purchase. A team of professional, well informed crew take the activities daily, and there are so many to choose from for all fitness levels – from full day to half day hikes for the super fit, and trips as simple as sitting in a van being driven around to see the spectacular scenery for an hour or two. The spa has to be seen to be believed. An infinity pool sits behind glass overlooking the spectacular view, and there are massages, a dry sauna and steam room, and even a hot tub – outside, which is another way to get up close with the elements and revel in the beauty whilst sitting in the super warm bubbling spa. 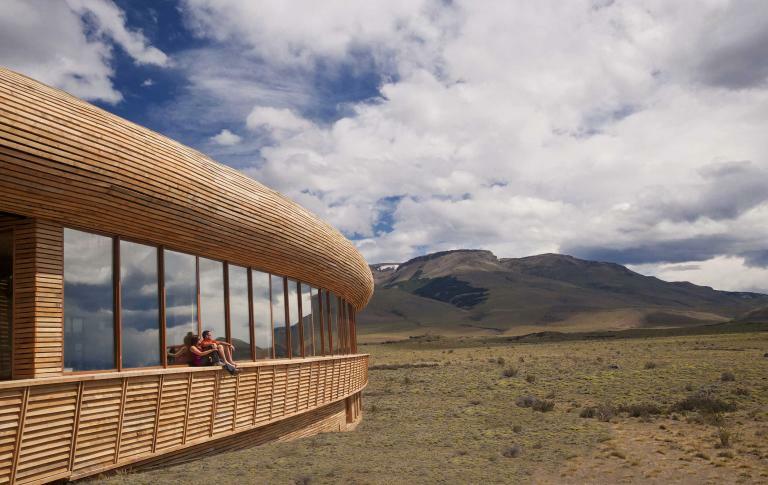 The design of Tierra Patagonia is at one with the natural environment. The hotel is intimately designed to weave and blend with nature. It’s hard to depict it from a distance as the entire building is made from wood and fits into the timber hues of the scenery. The oval shape of the building is designed to depict a fossil stranded on the shore of the lake. Some kids in the van with us on arrival said it looked like a mysterious spaceship. The hotel has areas for reading, a huge wall-sized map of the area to plot your adventures, wifi, and sheltered outdoor areas to enjoy a wine. Renae Leith-Manos at Tierra Patagonia. 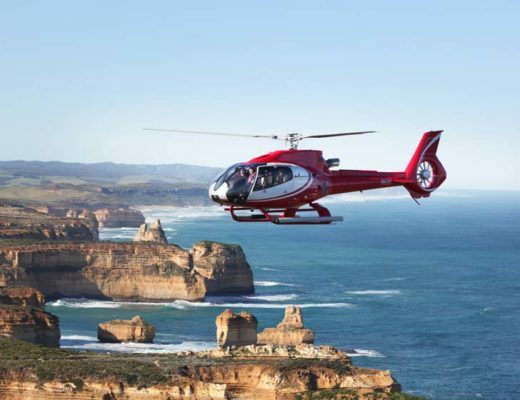 Truly this is luxury, escapism and adventure travel all in one. I can’t wait to return. Location: Fly into Puerto Natales Airport from Santiago, Chile, and the drive is about 45 minutes to the hotel. Best culinary delight: The daily fresh-mixed cocktails are creative and amazing. The Highlight: The incredible spa and the natural setting. The lowlight: Be prepared for a very active stay to make the most of the hotel and the natural environment ( but this is part of the fun, hardly a low point!). Click here for more on Tierra Patagonia. The hotel’s main area where meals are served. Champagne vending machines have arrived.